Yesterday I spent most of the day in my quilting studio. 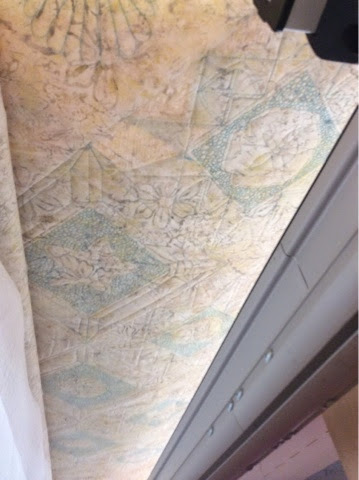 I was able to get two rows of quilting completed. It's slow going but I really like the way it is turning out. This is my moms quilt but I took the same class and have the same fabrics and pattern. I think I am going to put it up higher on the list to finish lol.